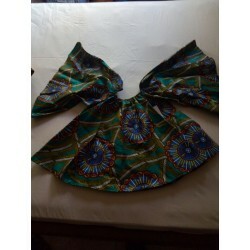 Crops made from an African material called Kitenge. Worn on different occasions. Come in different colours and sizes. 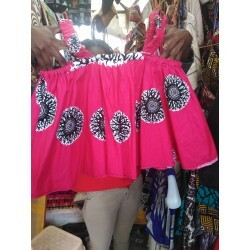 The tops are made from kanga. Nicely drape loosely fitting kaftan. 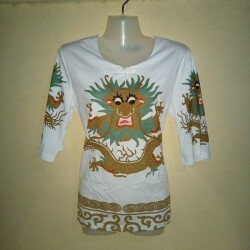 Can be worn during summer and spring. The tops are perfect for outdoor occasions. Come in different colours and in different sizes. The sizes are 6-22. 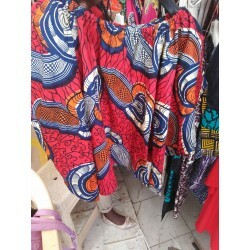 They are made from kitenge material. The tops are perfect for all occasions. Come in different colours and in different sizes. The sizes are 6-22. 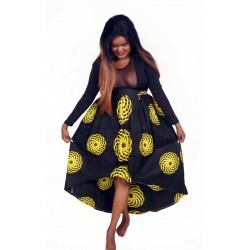 They are made from Kitenge material. 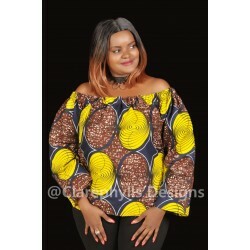 Medium off-shoulder top made from the kitenge material. 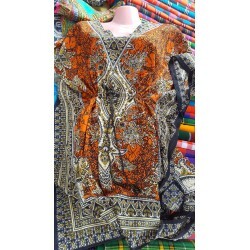 Beautiful small, medium and large kitenge tops.